After four iterations, Apple has upped the display size of the iPhone from 3.5 to 4-inches, with an appropriate increase in resolution (1136 x 640). 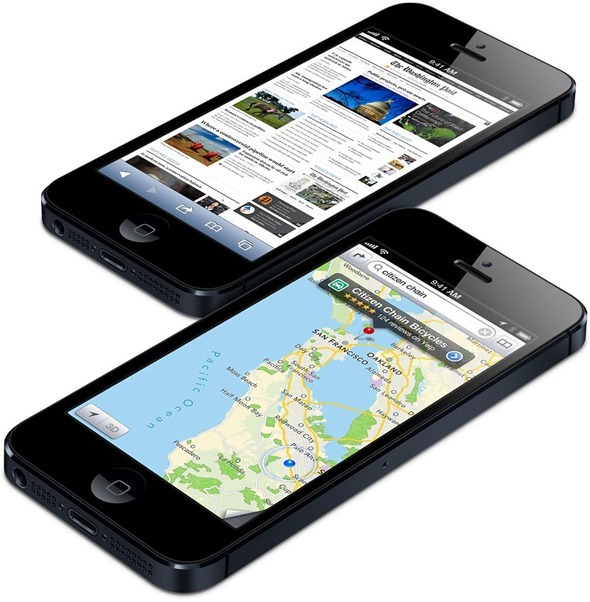 It is arguably the biggest feature of the iPhone 5 for most people, as the other big feature – 4G LTE – is still restricted to limited to a select number of cities in the U.S. and Europe. Now, the first thing that popped up in technology enthusiast’s minds was whether the larger display would make it difficult to hold and use the phone with one hand. Earlier today, we came across a image that compares the iPhone 5’s display size with offerings from the Android camp. Check it out after the jump. The image in question has been created by pic10F206 over on Reddit. It shows five phones: iPhone 4S, iPhone 5, Galaxy S, Galaxy S II, Xperia Arc S, and the Galaxy Nexus. The display area of the iPhone 5 is placed on top of the devices to help understand how large and, consequently, comfortable (or uncomfortable) to hold and use the iPhone 5 will be. Mentioning just in case: the red space on the Android phones’ displays is the area not occupied by the iPhone 5 display. There are two conclusions to be taken away from this. Firstly, the latest wave of Android smartphones have huge displays for portable, handheld devices. The Galaxy Nexus – shown on far right of the image – is relatively small considering how it has a 4.65-inch display compared to the HTC One X’s 4.7-inch, Samsung Galaxy S III’s 4.8-inch and Galaxy Note II’s 5.5-inch display. They maybe great for watching videos and playing games, but using them with one hand becomes a thumb exercise where you are constantly stretching and adjusting your grip to reach buttons in the top left and right corners. 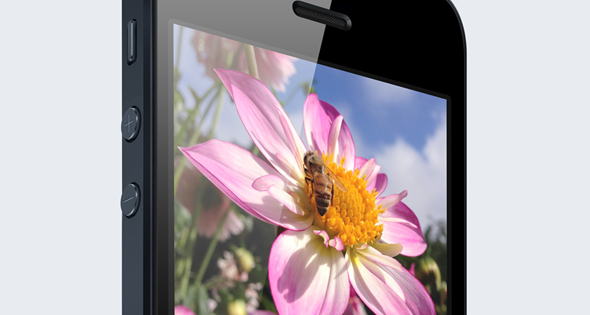 Secondly, the iPhone 5’s display – despite claims suggesting otherwise – will most likely be comfortable to use. I say this because because size of the device is similar to smaller, 4-inch Android phones like the Galaxy S, Nexus S and Incredible S – all of which I’ve used and found rather comfortable to operate with one hand. As a side note, I’d like to say that I have medium sized hands. In addition to the information revealed by the image, Apple’s obsession for details and their efforts for ensuring the best possible experience for fans guarantees that the iPhone 5’s larger display won’t pose a problem.